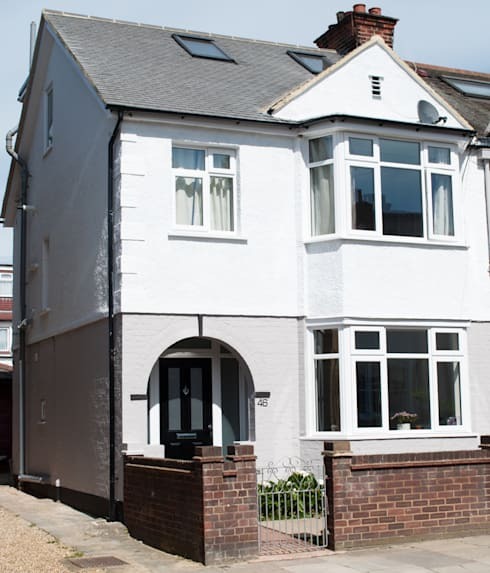 Charged with opening up this family home as much as possible, the architects in charge of the project not only designed a stunning loft conversion, but also went to town with an open kitchen/dining room set up. Offering all the comfortable living space that a growing family could need, this home has been styled in a classic yet contemporary way to make the most of all the natural light that the clients wanted to draw in. 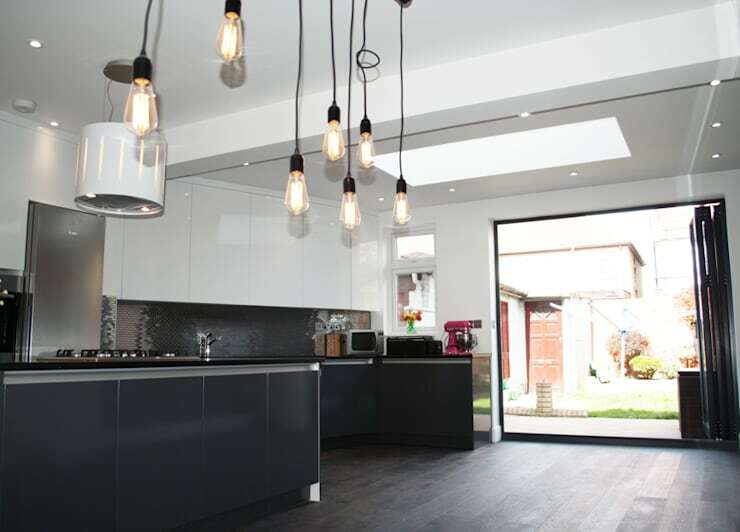 It's all very well having huge extensions put on your home but we think subtlety really is the key. Take this beautiful home as a perfect example. From the outside, this property looks relatively untouched and classically elegant, with the only clue to work that's been carried out being the roof windows. Understated and lovely. Naturally, once your extension is complete you might not be so bothered about keeping quiet as to the stunning space you have created. We know we'd be shouting from the rooftops about this gorgeous kitchen. Spacious, finished in a stunning petrol blue colour and literally encased in light, this is a dream kitchen Just look at that incredible splashback! 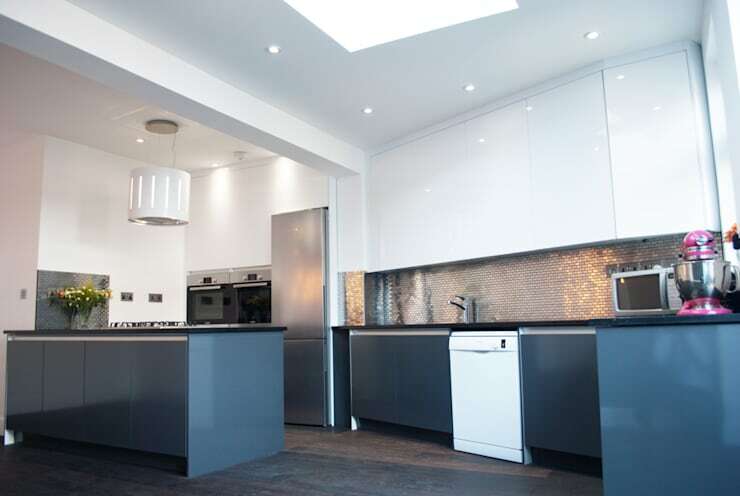 We love the way that where you stand in this kitchen affects what colour everything looks. The cabinets appear almost black from this angle! Statement lighting adds even more style points, but just look at the way the room reaches out to the exterior space. Thanks to the bi-folding doors, the inside and outside areas simply meld and combine, making everything feel bigger and fresher still. 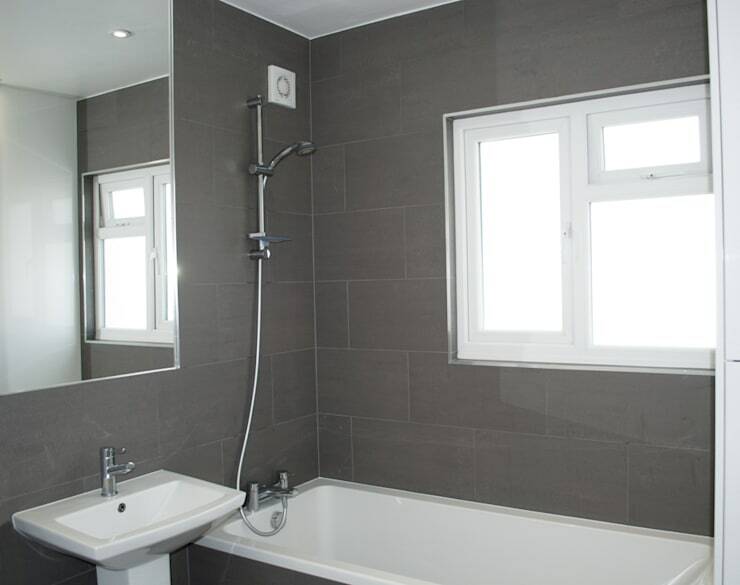 As well as a new kitchen/dining room, there was a mandate to add some extra bathroom facilities and we think this moody grey room is a huge success. Kept understated and serious, this could be a private space, just for adults who need a little 'me time'. The suite explores modern lines and shapes, while the tiled walls add a little classic décor and it's lovely. The family in this home must have felt that their dreams came true! For more amazing family home inspiration, take a look at this Ideabook: Family Home Heaven in Devon. Are you cooking up some ideas for your kitchen?